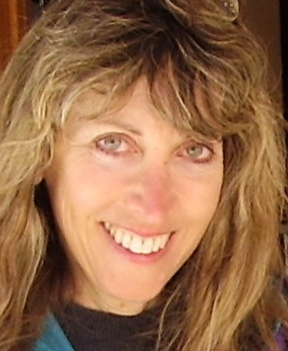 Joan Gale Frank is an award-winning writer/producer for video, print, audio and TV commercials. She also provides marketing writing for websites, author promotions, and companies of all sizes. Her client list includes Fortune 500 companies such as Apple Inc., Intel Corporation, Hewlett Packard and Johnson & Johnson. Ms. Frank is the author of Home Seller’s Blues And How to Beat Them available in paperback or as an Ebook at http://www.homesellersblues.com, Amazon.com, Barnes & Noble and the Apple iBookstore. The book helps frustrated home sellers overcome the worries, uncertainty and financial stress that sellers often experience during slow-moving housing markets, and gives a wide-range of home selling tips to make a house sell faster and potentially for more money. Ms. Frank has appeared on numerous radio and TV interviews, and frequently speaks at business conferences. She holds a Master’s Degree, specializing in adult learning and motivation, and a Master’s Degree in Public Health from U.C.L.A. She lives in Portland, Oregon. House Selling Blues Blog in Top 100 Real Estate Blogs to Follow in 2013. Ranked by an independent survey as #54, internationally. Los Angeles Time Article, Business and Real Estate Section, Sunday, 10/3/10, also in the Los Angeles Times Online Edition. Tracy Pattin, SizzleCaster.Com, Video Interview with Joan Gale Frank 9/16/2010: Personal Branding Success Story. “Home Seller’s Blues” was created to share Frank’s findings with other frustrated home sellers. It features comprehensive home selling tips, including quick, inexpensive ways to make a house memorable, how to attract more buyers, finding the best Realtor, win/win pricing, easy ways to get a house ready to show in minutes, and identifying little problems that cause home rejection. Several chapters of the book are dedicated to overcoming negative emotions ranging from fear and frustration to insomnia and helplessness. The book also emphasizes how to enjoy life during the entire home selling experience. “Ms. Frank’s insights into the emotions, psychology and real estate strategies of home selling are right on,” says Alexis Halmy, Portland, Oregon Realtor. “Home Seller’s Blues” is available for $9.99 at the Apple iBookstore, on Amazon’s Kindle, and at www.homesellersblues.com. 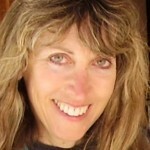 Frank also provides inspiration and often humorous home selling advice on her blog, http://www.housesellingblues.com.